Quiet: The Power of Introverts in a World That Can't Stop Talking by Susan Cain was selected as our first NACADA Read. This book raises awareness about the differences between introverts and extroverts while also acknowledging that many parts of our American culture favor extroverts. In the advising profession, it is important for us to not only understand how we operate but also understand those around us - our students, colleagues, and supervisors. When we pay conscious attention to the unique gifts we all bring to the table, we can celebrate the ways we all contribute. We will move beyond discussion of our different ways of operating in the world and will aim for each participant to think about how they interact with those who operate in a different way. Participants will be encouraged to approach this with an open mind and an expectation to learn and grow. Join us for a great read and discussion! Purchase your copy at: Amazon or at your local bookstore. View our Facebook Event for past discussion questions and the rest of the #NACADAreads Community. Be sure to use the hashtags #NACADAreads and #Quiet as you bring this discussion into the social media community. Maureen Schafer is a Senior Associate Director of the Academic Advising Center at The University of Iowa. Maureen’s presentation, “Introverts and Extroverts – Building Understanding and Harmony” was Best of Region 6 in 2014 and was presented again at the national conference in Minneapolis. Maureen is passionate about this topic and encourages her audience members to not simply stop at discussing differences, but to make productive use of this information by discussing ways we can improve our interactions with others. Her view is that we should all aim to value each person’s unique contributions. We want to strive to provide workplaces where everyone can work in a way that plays to their strengths and each person can feel valued. In the Introduction, Cain discusses characteristics of introverts and extroverts and presents a quiz for readers. Offer your thoughts on either question: Were you surprised by the results of your survey? In reading about the differences in the ways that introverts and extroverts operate, what resonated with you the most? In Chapter 1 Susan Cain addresses the Extrovert Ideal in our American culture. Let’s discuss a scenario to address this topic: Herman is in his third month at a new advising position. He thinks that many of his colleagues are extroverts (although he isn’t certain if they are) and he is certain that his boss is an extrovert. It is a small office and they use staff meeting time as their primary way for staff to offer feedback and suggestions. Herman doesn't typically speak up in staff meetings because he still feels new and is still taking everything in. He is afraid that this might be perceived as a lack of interest on his part. What suggestions would you offer Herman? In the first three chapters Cain addresses some areas in our American culture where being an extrovert is favored – the Extrovert Ideal, the Myth of Charismatic Leadership and The Rise of the New Groupthink. What experiences do introverts have that are similar to this where the expectation is to be more extroverted and you feel a lack of opportunity for introspection? For extroverts, what are your thoughts when reading this? What are some good examples of office arrangements/policies that allow people to do their best work? In Chapter 4 Susan Cain discusses Nature, Nurture and the Orchid Hypothesis. Many people are curious whether or not our preferences are inborn or if they are a result of the way we are raised. What reactions do you have to this topic? Do you have memories of your preferences becoming evident when you were a child? If you have children or young children in your life, do you see preferences becoming evident at an early age? Chapter 5, Beyond Temperament, gives us a lot to think about. We will pose a few questions but please discuss anything in the chapter that resonated with you. Cain says in Chapter 5 that we are like rubber bands; while we can stretch, we will only stretch so far because our inborn temperaments do influence us. What are examples of how this might play out at work? In Chapter 5 she talks about her friend Allison, who has more of preference for extroversion but learns a lot from her introverted family and friends. What are ways that people who lean towards extroversion learn from the people around them who lean more towards introversion? Our ‘sweet spot’ is a place where we are optimally stimulated. What are ways that you maximize being in your sweet spot when it comes to your professional responsibilities? View the SPECIAL WEBINAR - "Introverts and Extroverts at Work: How does our personality type effect how we work?" Hosted on May 11, 2015 by NACADA Reads facilitator, Maureen Schafer and guest speaker, Cheryl Schultz. 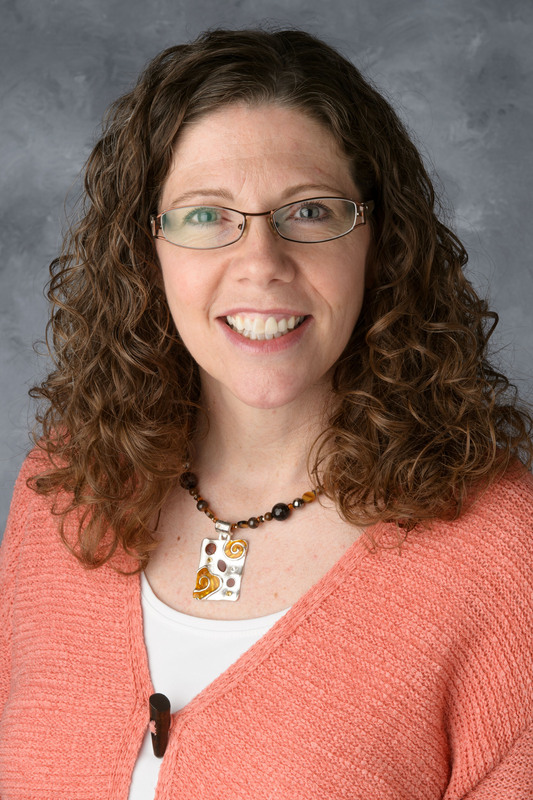 Cheryl Schultz is a Senior Academic Advisor in the Academic Advising Center at The University of Iowa. In addition to her work advising students, Cheryl works with the Office of Admissions representing the Advising Center at recruitment events and also serves on in-house committees for advisor development, orientation and advising open majors. A self-proclaimed introvert, having a basic knowledge and understanding of her own preferences has helped shape some of her professional development choices and how to best highlight her own strengths. It has also given her insight into working with others in the Center (43 advisors) as well as colleagues across campus. In Chapter 6, Cain tells us about her experience at an annual weekend gathering for highly sensitive people. She explains that she has never had the experience in a group where she didn’t need to “present an unnaturally rah rah version of myself.” For those who have more of a preference for introversion, what are some of the situations where you feel this plays out in your life? What changes can we make to our workplaces in an effort to create environments where everyone can feel more comfortable being themselves? What changes can we make on behalf of students who operate in the way that Cain describes? In Chapter 7 Cain talks about how we all think and make decisions differently, with people who have more of a preference for extroversion being more likely to move ambitiously toward a reward while ignoring obvious warning signs. This chapter encourages all of us to think about our decision making and how rewards factor in. If you have more of a preference for introversion, Cain suggests “…your biggest challenge may be to fully harness your strengths.” (page 173) How do you do this? If you have more of a preference for extroversion, what do you think are the worst things that can happen if you follow our own instincts without thinking about how you operate? What are ways that you are attentive to warning signs in your life? We can notice the same thing with students. Sometimes they can operate with blinders on – not fully understanding themselves and therefore not paying attention to warning signs. How do we help students identify when they are ‘off track’? Chapter 9 - When Should You Act More Extroverted Than You Really Are? In Chapter 8 Cain talks about Asian Americans and the Extrovert Ideal. For our readers who grew up in a different culture – what are your reactions to this? Have you found effective ways to coach Asian American and/or international students on ways to adapt to the culture of our college classrooms? Please share general thoughts/comments that resonated with you when you read this chapter. Cain talks in this chapter about “restorative niches,” the places introverts go or the things they do to recharge their energy. What are your favorite restorative niches? What are some restorative niches we might recommend to our students? In Chapter 10, Cain addresses the communication and interactions that take place between those who have a preference for introversion and those who have a preference for extroversion. Her insights provide us not only the background of why we do what we do, but also ideas for how we may more effectively interact with those who are different from us. What strategies have you developed in your own life to successfully interact with someone who operates in a different way than you? If you have more of a preference for introversion, what would you tell other people who are trying to understand you better? If you have more of a preference for extroversion, what would you tell other people who are trying to understand you better? Chapter 11 focuses on how to cultivate quiet kids, which relates to our webinar this week on how this topic influences how we work with our students. What are ways that we can create environments for our students with a preference for introversion to succeed? The book leaves us with a strong motivation to be ourselves. “Figure out what you are meant to contribute to the world and make sure you contribute it.” (page 264) Please share insights as to your own “next steps” after reading this book. View the SPECIAL WEBINAR - "Applying Quiet Concepts to Our Advising" - Hosted on June 3, 2015 with facilitator, Maureen Schafer with guest speaker, Cheryl Schultz.